It’s Friday evening and my Whatsapp groups won’t stop buzzing. Plans are being made for the weekend and I am not included. “I have to teach a class tomorrow at 6: 30 in the morning”. They all know my response, it has been the same for years and they love to take a jab at me for it. I love my friends and I am grateful that they are still around even though I hardly am around when they are free. We dancers have odd working hours. What is hobby and leisure time for the world is our work time for us. I am grateful to my students for getting themselves that early to class on weekends, which is otherwise meant for drinks, friends, family and long sleeping hours. They do that so I can get to my ballet class by 9 am. That is how important ballet is for me, even though I am belly dancer. When I first started ballet lessons, I was both embarrassed and excited at the same time. I had just turned 30, and was in a class full of adolescents who knew what they were doing. Inside of me I was aware that even though I looked like a lost puppy, in due time this education would only benefit me. I didn’t know how though. As sadistic as it might sound, the more I did ballet the more I enjoyed the growth that the frustrations, pain and challenges it brought to me. 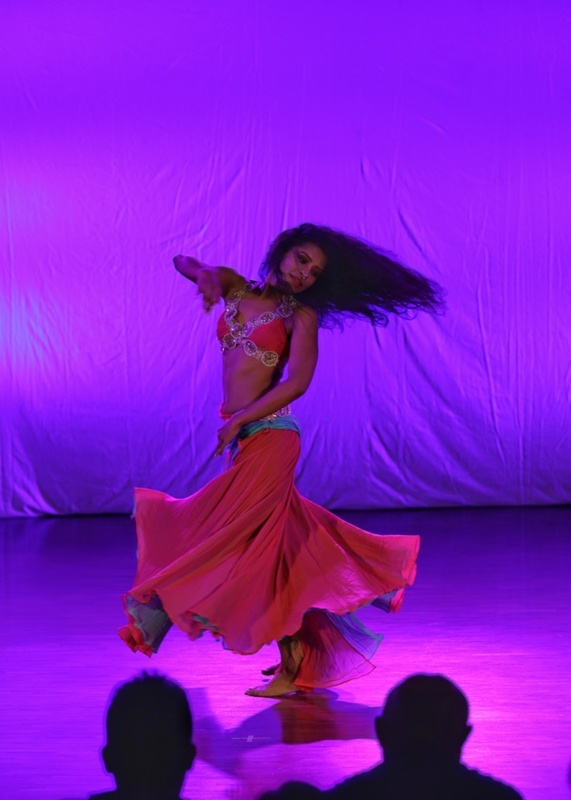 I began to find the words to express why I love it, how it changed my body for the better and hence my dance. Ballet is like a spiritual journey for my body. If meditation is a practice that brings awareness and control of the mind then ballet is the meditation that my body needs. I started dancing rather late in life, in my early 20’s. Belly dance as we know it today is an amalgamation of various folk and social dances from the middle-east and North African countries. It found structure in the last 60 years due to western influences and interests. Thus it falls under the category of newly found dances with little scientific research. Out of its home environment and culture the natural way of passing the dance form through generations is lost. In time I realised to go deeper into of study of this dance form I have to understand my body better. Cross training was the answer. What attracted me to ballet were the forms and lines which I saw missing in my dance. In the first few classes I realised the strength it required for the light presence ballet dancers have. This opened up a whole new world of the way the body works. Imagine a practice where you are aware of every muscle in your body held together at your core. The core is the heart of the dancing body holding the intention in the movement and in response moves the different parts physically. These lessons translated into my other dance practices. Of course, getting there is a process, a journey I learnt to enjoy. Just like no two finger prints are the same even if the fingers are structured the same, no two body anatomies are the same. The more you do ballet the more you discover your body and how to use it to your advantage for any movement related activity. To up my game I needed to get deeper into my musculature and I used the practice of ballet to get me there. We mostly used turned in muscles of our hips and thighs for our everyday activities and in lot of modern dances including belly dance. The turnout exercises in ballet help strengthen the unused muscles providing an all round stability to the hips, enabling complicated and interesting Belly dance movement. The “port de bras” carriage of the arms, added to the vocabulary of expressions and a layer of strong stage presence. The feet exercises and its use in movements established a new body – floor relationship and understanding of gravity. The stronger your connection with the floor the lighter you are in the air. Ballet is exercise for the brain as well. You need to be several steps ahead of you body. One hour of ballet requires focus with the brain sending out instructions to various muscle groups to apply the correct technique and create the expression required. Even though ballet tests your endurance, being completely present to it is a welcome stress buster. The abdominals get stronger improving breathing, straightening the posture and helping you tread lightly through a busy day. I may have been attracted to ballet initially because of my occupation but after my experience with advantages of practicing this dance form goes beyond the class and performance arena. Stable hips, relaxed yet active shoulders, long spine, toned tummy, chiseled thighs and supple feet are useful even otherwise in ordinary lives. “It never gets easier, you just get better” sums up best what keeps me coming back to ballet class every weekend.